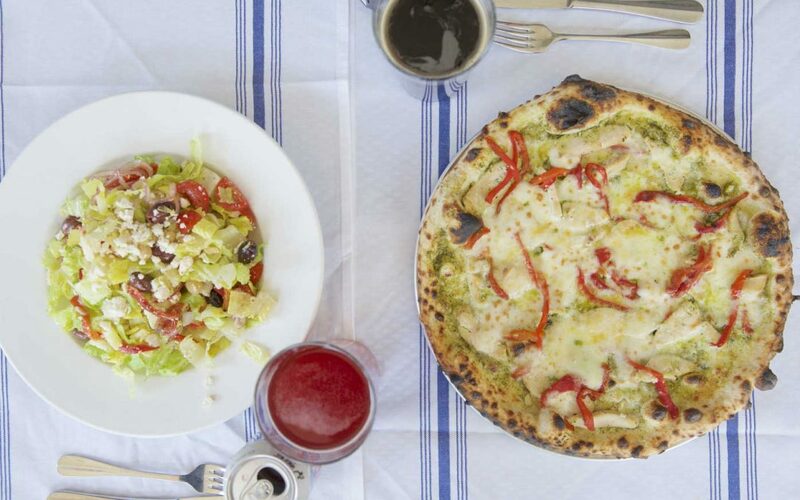 In 1889, the famous pizzaiolo Raffaelle Esposito of Naples created a special pizza for Queen Margherita of Savoy. As pizza during this time was not a dish consumed by the privileged, Esposito wanted to honor the Queen by recreating the colors red, white and green of the Italian Flag. Queen Margherita enjoyed the pizza so much that the food became popular with all walks of life, and over a century later we know it throughout the world as the Margherita Pizza.